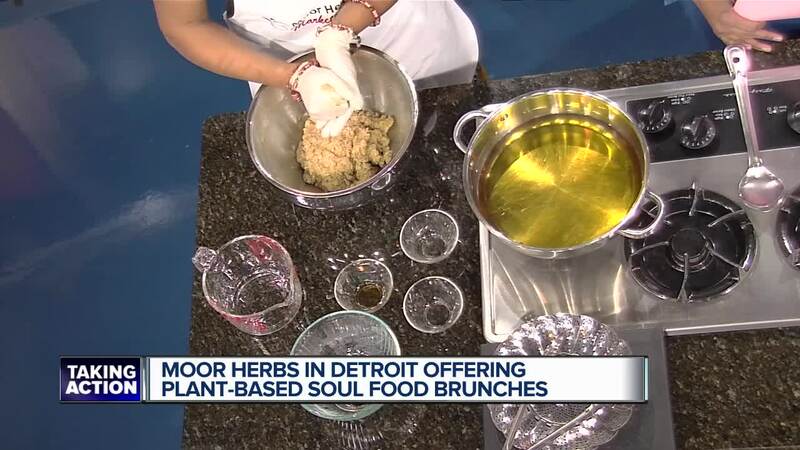 SOUTHFIELD, MICH (WXYZ) — Meal Prep Specialist, Maria LeMay-Bey, shares benefits of plant-based diet. Add liquid ingredients and stir / knead until combined. One at a time shape into desired shape (patties, chicken strips, wing dings, etc), squeezing firmly to release excess liquid and allow the dough to bind. Fry on one side until the dough begins to expand, flip over and fry until golden brown. As they are done, remove from frying pan and rest them on strainer to allow oil to roll off. Enjoy it your way!! Sandwich, smothered in bbq sauce, diced into a soup, etc.